SureSync Standard software is the base offering in our suite, providing replication and synchronsation of files on-command or scheduled. If you are looking for schedule based file copying, cross-platform replication or a simple NAS-to-NAS synchronisation, SureSync Standard will provide you with a vast and flexible feature set to get the job done. SureSync’s Endpoint product allows you to replicate & synchronize files with your remote users, regardless of where they are . 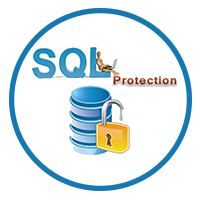 SureSync’s SQL Protection provides an affordable, automated solution for protecting critical Microsoft SQL databases (SQL Server 2005 and newer) and the valuable information they hold. You can then use SureSync’s SQL Protection to copy SQL backups to a server accessible via UNC path, IP address or DNS name. Miracle Service software is modular so you only pay for the features you need. Service Management Essentials - the basic features required for all service operations: contract management, billing & invoicing, technician scheduling, inventory management, preventative maintenance & management reporting. Nine optional add-on modules from Accounts Integration to a Technician Web Portal allow you to pick and choose the features to benefit your operation. Miracle Service is used by over 5000 users daily across the globe in 45 different countries in a wide variety of industries. One of the most powerful features of PlanetPress Connect is its ability to listen to digital processes that happen in your organisation. Whether it's a document being sent to the printer, an email being sent or received, an update to a particular folder or a request made to your web server, PlanetPress Connect is always on and ready to trigger processes that you set up and change on your own. PReS is the most powerful and flexible document composition language in the world. It is a software tool for designing and publishing personalized documents for both transactional and direct marketing applications. PReS can also help to integrate current systems and processes within your organisation. For the HP3000 is much more than just an electronic forms and check printing package. Its sophisticated text mark-up language makes easy work of on-the-fly output formatting for everything from manuals and client stock portfolios, to insurance and legal documents with variable contract clauses. Fantasia is also used as a dynamic mail merge tool where whole paragraphs, pages and graphics change depending on the variables data found a the data stream. Convert any LaserJet PCL output to highly optimised & efficient PDF no matter what application produced the output. Pcl2pdf supports many of the advanced security features of PDF and is designed to handle large through puts with amazing speed. The Windows operating systems publish detailed information on its health and status and the installed applications. Tools including the Event Logs, Perfmon, Services and the Task Manager all play a role in exposing conditions as they change. These sources can provide a preliminary indication of a degradation in performance or threats to security. Paragon Drive Backup is a sector-level backup solution designed to ensure business continuity and keep your business up and running. Paragon Drive Backup is ideal for protecting entire servers, databases and virtual machines and is optimized for fast backup/restore, server migrations and bare metal recovery. Open Seas offer a range of innovative backup products for the most demanding backup scenarios. If you are still backing up to tape please read on to discover the wonderful simplicity of 'disk2disk', or d2d, backup. No more perishable tapes. No more faulty tape drives. No more waiting for a tape to wind forwards or backwards searching for a file to recover. It is like using a DVD compared to a VHS video tape. As data storage needs continue to grow at an unprecedented rate. The challenge of storing, maintaining, backing up and recovering that important data is becoming extremely complex and expensive. Besides managing data storage and growth one cannot ignore performance, integrity, and scalability to keep things humming smoothly. Idealstor’s comprehensive suite of affordable storage solutions provide all the required components that not only provide flexibility, performance, scalability and protection, but also keeps things simple and hassle free. The administration of security policies is a complex task. Indeed, there are a large number of points to consider as well as the specifics of each server and the deployment of this security policy. OSE helps security managers to face the difficulties of implementing and monitoring security rules, OSE offers features that meet most of the security management concerns of the systems. Trend Micro Worry-Free Business Security achieved the highest overall score from AV-Test.org for all participating vendors on corporate endpoint security. 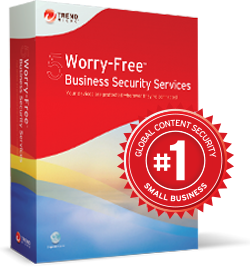 Not only is Worry-Free the best performing business security software, but it is also the most popular. 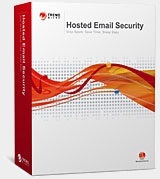 Trend Micro™ Hosted Email Security is a no-maintenance cloud solution that delivers continuously updated protection to stop spam, malware, spear phishing, ransomware, and advanced targeted attacks before they reach your network. It protects Microsoft Exchange, Microsoft Office 365, Google Apps, and other hosted and on-premises email solutions. Email Encryption is included in the base offer.